VHX6: How do I setup VirtualHostX and MAMP? Step 1: Download and install MAMP. 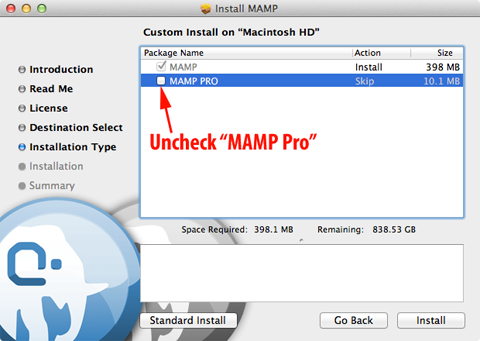 Note: MAMP is a little sneaky and forces you to download MAMP Pro. 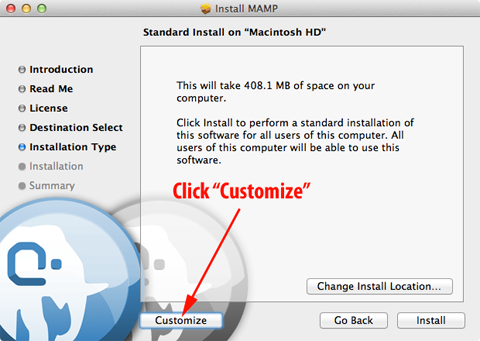 To get regular MAMP, you'll need to run their installer, click "Customize", and uncheck the "MAMP Pro" option. 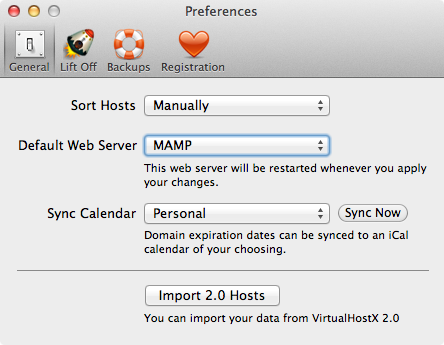 Step 3: Make sure you've selected "MAMP" as your "Default Web Server" in VirtualHostX's Preferences. Step 4: Run the VirtualHostX Setup Wizard. It's under the "VirtualHostX" menu. Step 5: Finally, click "Apply Changes" one more time. Alternatively, here's a screencast by Jake Chapman showing the process in more detail. If MAMP isn't starting from you, take a look at a solution here.